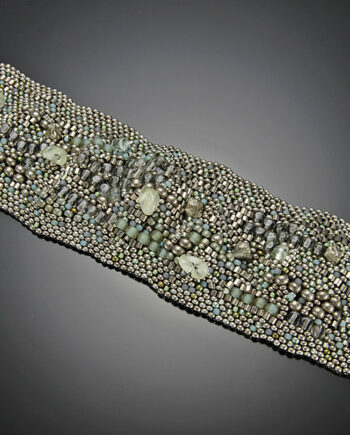 Ripples of pebbles and stones in a natural color palette. 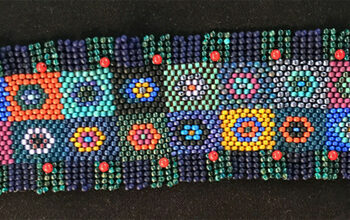 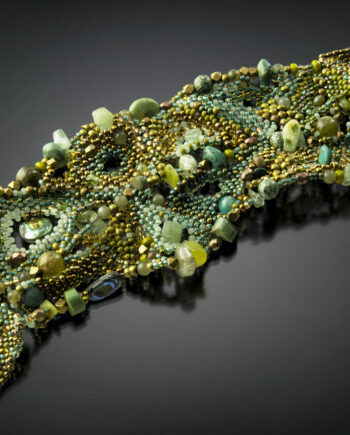 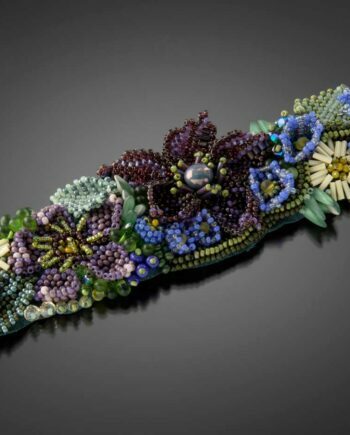 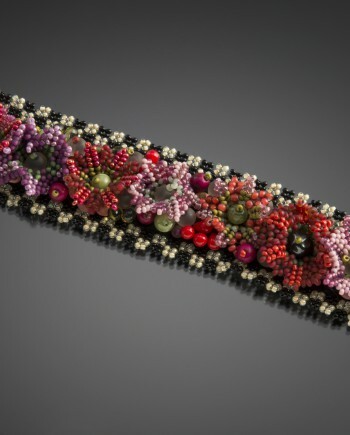 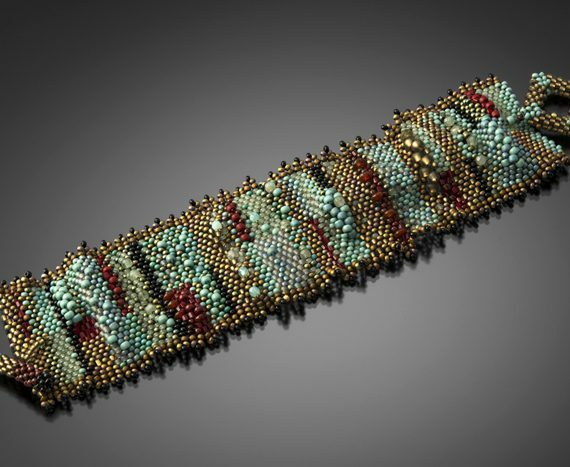 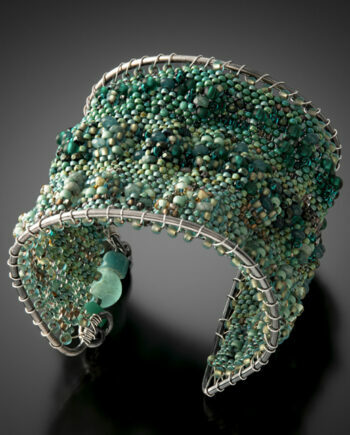 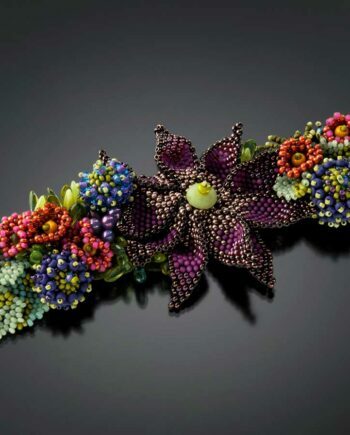 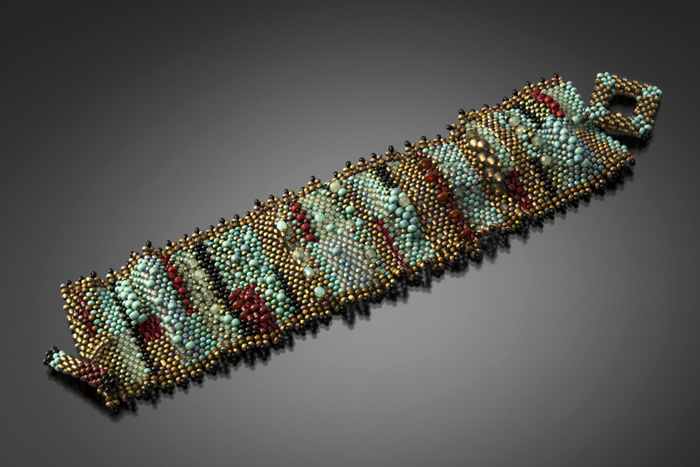 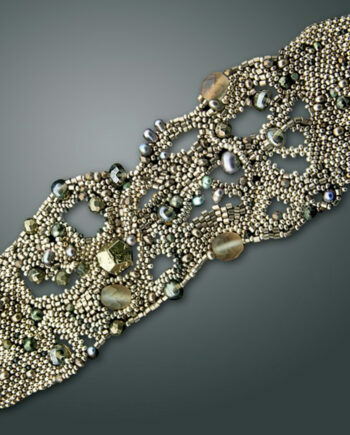 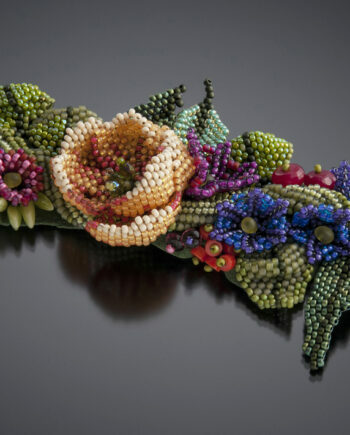 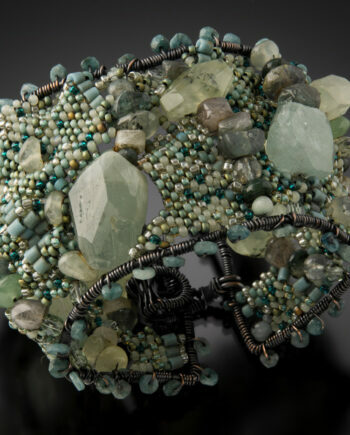 Glass beads and stones that are woven with a needle and fishing line into an undulating, textural fabric- using a variety of bead sizes with peyote stitch. 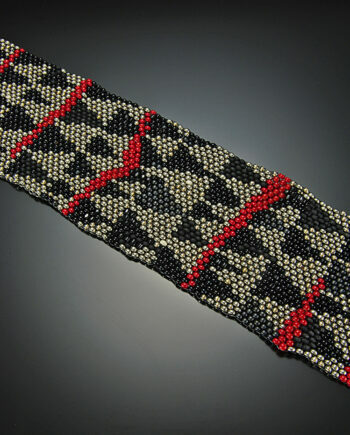 Bordered with herringbone stitch. 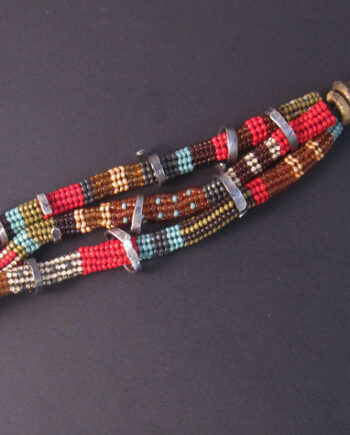 7 x 1.75″, hand woven toggle closure.